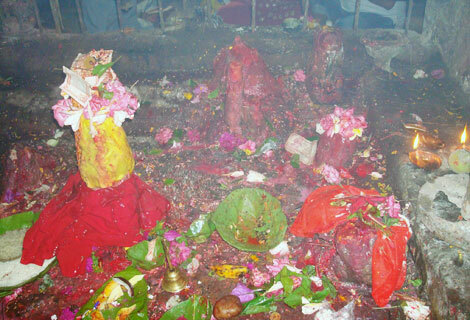 Halesi Mahadev Darshan – Summit Helicopters Pvt. Ltd.
Five of our Buddhist friends; Ven. 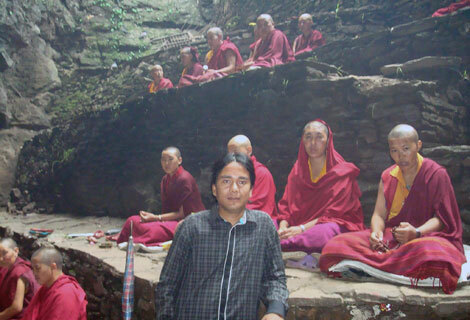 Dhakpa Tulku, Ven. Bari Rinpoche, Ven. Khadro La, Ven. 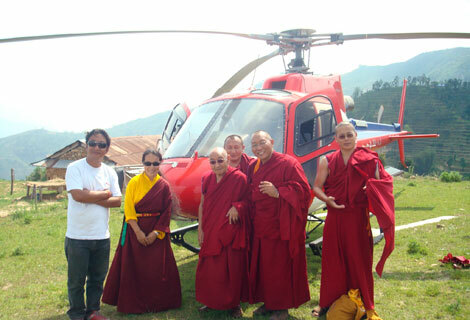 Zin Sangpo and Losang C. Bhutia were flown to Halesi (at 4350ft) this morning on our B3-AJI by Captain Ashish Sherchan. 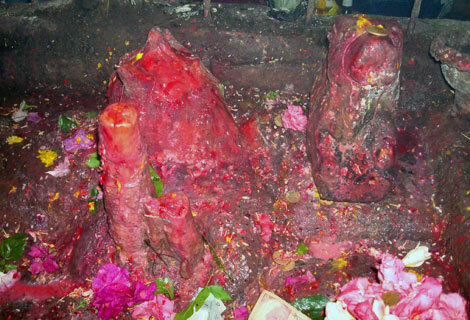 Halesi is situated at the hilly region of the country in between the holy rivers Dudh Koshi to the right and Sunkoshi to the left. 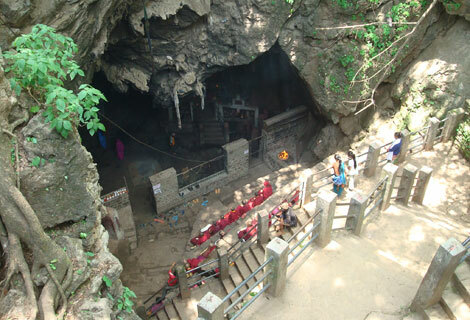 The temple is situated at the top of a small hill inside a beautiful cave. 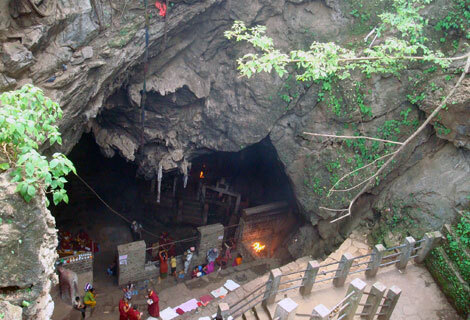 It is the natural cave, which lies in 4th remote hilly region and is believed to be in existence since 6000 years. 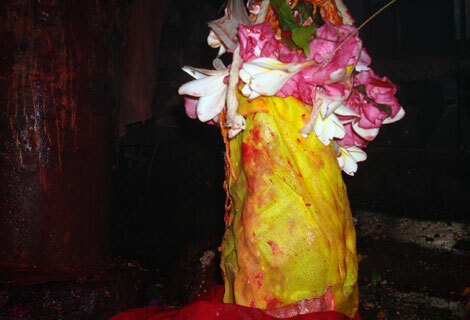 It is the place full of natural beauty and cultural inheritance. 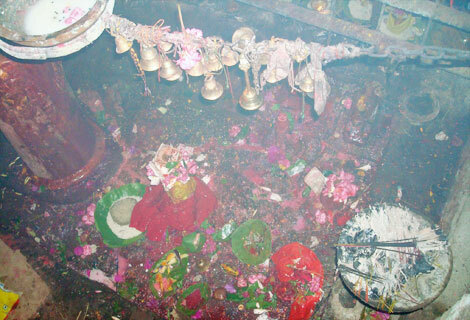 It is popular among the Hindus as well as the Buddhists all over the world. 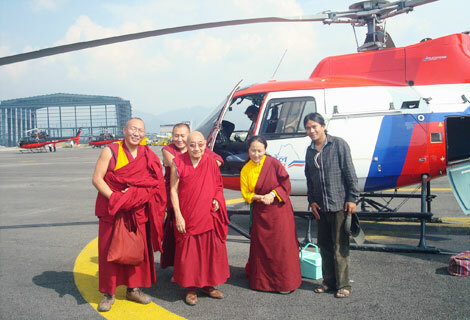 They were flown back to Kathmandu after the brief ‘darshan’. Posted in: Company News, Religious Tours, Tourism Articles.